These are our newest, just-built apartments only one short block from campus in the highly desired East Campus neighborhood, Two 3-bedroom and two 4-bedroom luxury apartments—each bedroom with private bath. All appliances including washer/dryer. High-efficiency heat and central A/C. Security cameras. New cut-through for one-minute walk to campus. Sprinklers for your protection. FREE OFF-STREET PARKING. Private, quiet and the perfect close-to-campus location. There are only four beautiful units and they lease quickly. The apartments have great natural light, with large windows in every room. City safety inspected. 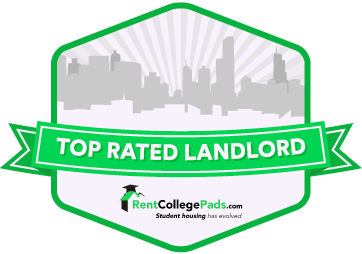 Anthony Place is a new student community in the heart of East Campus, in a great location midway between campus and downtown. Parking is included in the rent. No animals. 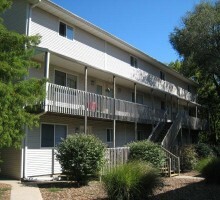 Group of three or four, $580 per resident. Group of three or four, $580 per resident. 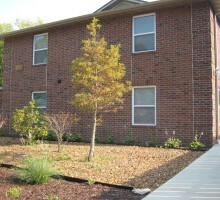 Newly constructed, luxury 3- and 4-bedroom units, each bedroom with private bath, close to campus. Your own bedroom with private bath! Upgraded appliances with built-in microwave and washer/dryer. Very spacious with nearly 1500 square feet. Nice deck or patio. State-of-the-art construction to reduce noise and utility costs. Sprinklers for your protection. FREE OFF-STREET PARKING. Private entrance. No animals. Next year live in luxury in a newly-built unit. Group of three/four only $475 per person. Group of three or four only $475 per person. Why hassle with traffic and parking? 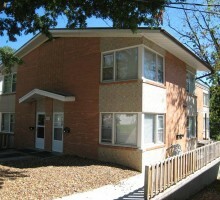 Walk to campus from these spacious 1200 sq. 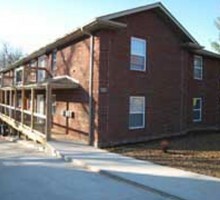 ft. 3-bedroom apartments with one full bath plus 1/2 bath, or 4-bedroom, 2-bath apartments. Recently updated with thermal windows and doors and with new kitchens with dishwashers and disposals. Convenient free laundry in building. Central A/C and economical gas heat. Large private bedrooms, big living areas. Easy walk to campus. FREE OFF-STREET PARKING. No animals. Group of three or four, only $415 per person. These great units go fast. Group of three or four, only $415 per person. Great 3 bedroom, 3-level townhouses with two full baths plus 1/2 bath. Quiet. Only four units in the building. Central A/C and economical gas heat. New thermopane windows all around. Really nice units with privacy and space for everyone. Excellent location close to campus. Washer/Dryer in each unit. Meticulously maintained. FREE OFF-STREET PARKING. No animals. Group of three, only $470 per person. Call early. Group of three, only $470 per per person.